This node takes the maximum value of two terrains. At each vertex, the value of the output terrain is the maximum value of both input terrains. 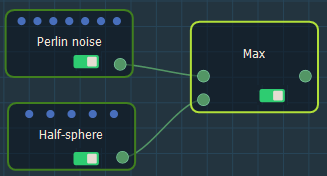 To add a node, right click in the Graph Editor and select Create Node > Terrain Composition > Max. Link the Max node to two input nodes. 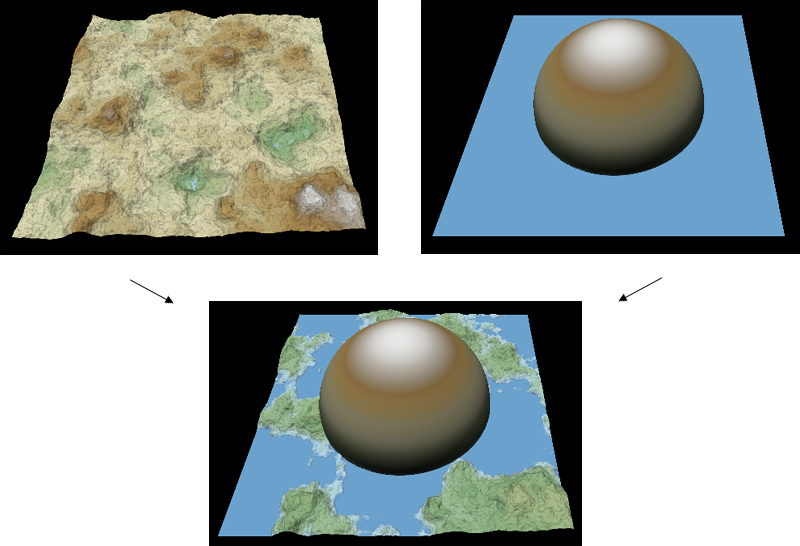 If both input terrains do not have the same size or resolution, the size and resolution of the output terrain is determined by the size and resolution of the first terrain, and the second terrain is enlarged or decreased so that its size corresponds exactly to the size of the output terrain, before being compared to the first terrain.